It’s nice to meet you Kenneth. Please tell us about yourself—you know, all that stuff that makes Kenneth interesting! My older brother always claimed that I was dropped off by traveling space aliens who couldn’t put up with me. Be that as it may, I grew up in New England, where I learned to talk with funny sounding “A”s and occasional bouts of unexpected rationality. Never much of an athlete or doer in general, I loved reading from an early age and decided that I would become an author when I was faking my way through grade school. I call it faking because I suffered from Muchausen’s by proxy and averaged less than halftime attendance. Yet another reason I loved reading—not much else to do when confined to bed. Amazingly, my health improved when I went off to boarding school at age 14. I mention boarding school because it is a theme that finds its way into my writing as does family madness and a sense of isolation. However, don’t get me wrong. There was also some fun in my life, and I developed a sense of humor, which will also be found in my books. I also discovered romance, and you’ll find that in my writing, too. Most importantly, while going to that boarding school and then to an Ivy League College, I discovered my sense of humanity. “We are all more nearly human than otherwise,” (Harry Stack Sullivan), has always been my motto. As a writer I constantly explore the themes of my own life: madness, family dysfunction, loneliness, humor, romance, and our common humanity and connection. After college, I married, went to grad school in psychology, worked as a psychologist, and raised a great son, who was never told that he came from outer space. All that time, I wanted to write. I even turned out some poetry, a few professional papers, and some newspaper essays. Amazing how with one paragraph I am able to dismiss the majority of my life. I retired in 2002, to Arizona. That’s where I currently live with my wife and where I write. I’ve seen the photos on your Facebook page and your “gardens” are marvelous! When and why did you begin writing? 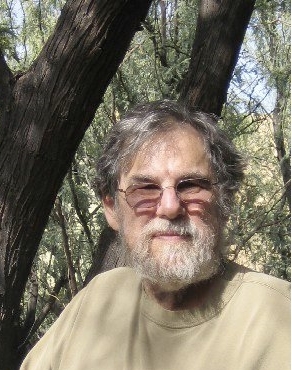 My first serious writing was after retiring to Arizona. I had reached the age when I wanted to make sense out of my life, to give it a sense of unity and integration. But writing was also the fulfillment of childhood dreams and aspirations. I struggled with how to break free of this millstone, and ended up using a vanity press to publish an anthology, which I titled Songs for My Father. Somehow that worked. I dedicated the book to him and brought him a copy at the nursing home where he was living. He was thrilled—probably because he honestly thought it was a tribute rather than a way of deceiving him. Once that block was out of the way, the free flow of books, poems, and stories has been just great. What was once a trickle and often a torment has become a rushing, and free-flowing stream. Most of my writing is tragic-comedic literary fiction. That means I try to capture the human experience and that I place great emphasis on language and description. Plots, while they are important, are less central to my writing process than the experience of the words themselves. What’s your process? Seat of pants, well-devised outliner? I always start with a notion of the plot, but I have learned that my characters often change the story. Perhaps the best example was when I was in residence at the Writers’ Colony as Dairy Hollow, a lovely place in Arkansas. I was having a very hard time figuring out how to move on with the current project: what had come between the characters to move them towards the dénouement? In the middle of the night, one of the characters shook me awake demanding, “What makes you think she’s his daughter?” Turns out that the character had had an affair, and I had not known. I do hope that novel, “The Stylite”, will find a publisher soon. My agent seems to think it will. Don’t you just love it when they do that? What other writer inspires you? Your work? I love lots of writing and many writers. I read a great deal of poetry. If I had to pick a few of my top novelists, I’d go with Vonnegut. Then I’d add Paul Harding’s Tinkers and Tim O’Brien’s The Things They Carried. Cormac McCarthy is also great; The Road was so outstanding that I read it twice. I also love flash fiction. There is a relative unknown writer, Salvatore Buttaci. He and I have become close friends, partly because we are both currently published by the same publisher, All Things That Matter Press. I always look forward to reading Sal’s stories. In the short fiction category, some of my better known favorites are Chekhov, Kafka, de Maupassant, and Isaac B. Singer. the best and most important book. Not only is the subject matter—both on the surface, mental illness, and deeper, free will—important, but also in my humble estimation the writing is incredibly powerful. By the way, All Things That Matter Press has just brought out an audio version. It was there first foray into audio, and they chose Memoirs because of the power of the literary style. My editor insists that “The Stylite”, which is one of two books in my agent’s hands, is a work of greatness. He insists that someday graduate students will be writing their theses on “The Stylite”. While I agree that it is beautiful writing, at this point I just hope it finds a publisher that is large enough to do the book justice. that is based on anyone I have ever known; yet they are all so very real that readers frequently tell me, “You must have known so-and-so.” I just take that as a great compliment. We all have some interesting tales to tell, so what’s your best/worst experience as a writer? Each sale is the best experience. Seriously, each time I know that a book has been sold, for example when somebody mentions it on Facebook, I get a high. When my royalty check comes and I see a list of sales, not names but dates, titles, and formats, it’s like a night of multiple and wonderful orgasms. The worst experience as a writer? I guess that’s when I get a whole chapter or a story written and I realize that I don’t like it. I run the cursor over page after page and hit delete. After the screen goes to blank, I wander off—sometimes to sleep, sometimes to eat ice-cream, and sometimes to have a good stiff drink. How about the best/worst writing advice you ever got? 3) Find people you trust with whom to share your work and listen to their feedback. Worst advice for any writer? Why don’t you find something worthwhile to do with all that time? Ugh! Why oh why do they do that to us, huh? What is your latest work? The first and easier one is a series of comic short stories. The trick is that I’m trying to capture varying styles and even cultural differences in the writing. Some are being shared in various places on the Internet. That’s a good reason for following me on Facebook or Twitter so you can know where to find them. At some point, I hope that I’ll have enough for a book. By the way, my notion of comedy includes some very dark stuff. The other current project is an historical novel. Tentatively titled “The Red and The White”, it is set in the late nineteenth century and involves a Native American boy send east to the Carlisle Indian School in Pennsylvania. I have the plot pretty well set and the writing begun, but it will be interesting to see how the characters will change the story. On my Author’s Page on Amazon. I also have a website where you can read samples and watch trailers my trailers. I write because I love writing. I hope that you read what I write because you, in turn, love reading. Now, just for fun—tell us something about yourself that your readers don’t already know. Every morning before I get up I lie in bed and think about the book or story I have been working on. I can lie there for seconds or an hour, but during that time I am not really there; I am in that alternate universe that I have been creating. I have three trailers, one for each of my published novels. At the end of each is a purchase link. Widow’s Walk A novel of love, faith, and tragedy. 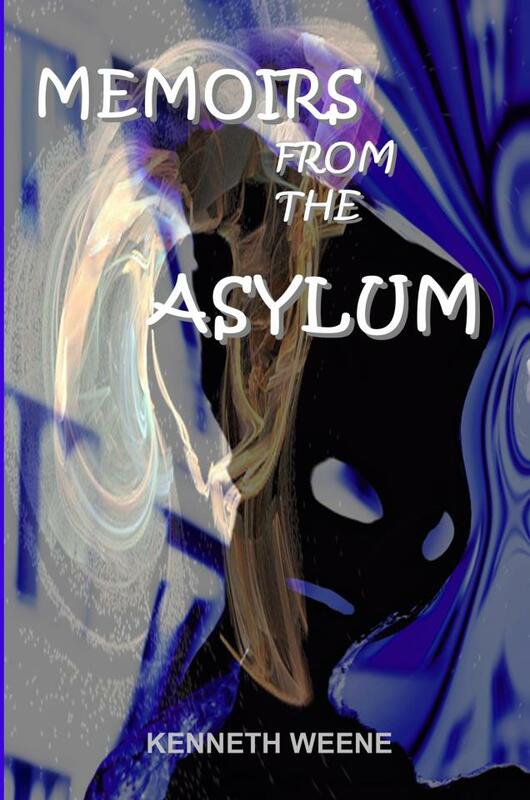 Memoirs From the Asylum The world of a psychiatric hospital becomes a powerful setting for the great issues of existentialism. 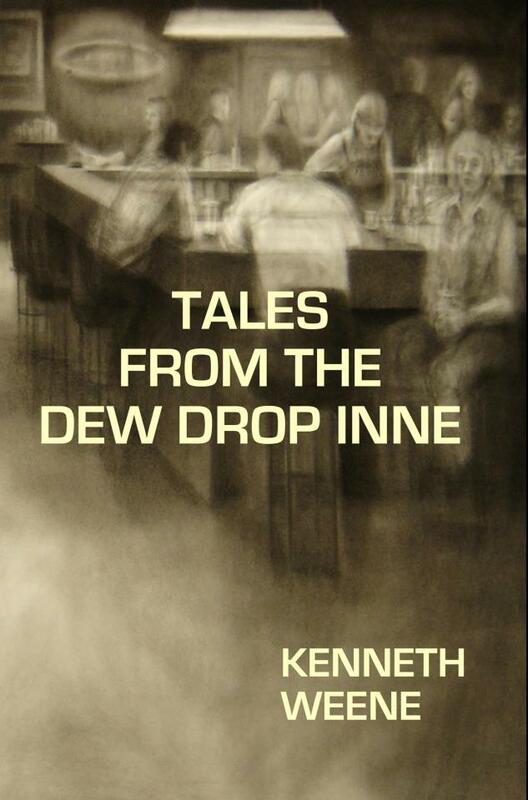 Tales From the Dew Drop Inne Because there’s a dive like this in every town. Kenneth, it has been a real pleasure talking with you. Thanks for taking the time to do this interview! This is one of the best interviews I’ve read in a while. Ken and i have been friends since we both had our first book published around the same time.We support and respect each other’s work and enjoy reading it. I agree with his agent that one day some of his works will be well known and perhaps required reading in high schools.